wegamed GmbH is proud of over 25 years of experience in the fields of orthodox medicine, complementary medicine and naturopathy. We channel this knowledge into our products and services so that we can provide a system for the holistic diagnosis and therapy of complex symptoms – up to an in-depth analysis of root causes, without any negative side-effects. And our products also help in the administration and documentation of patient data. Take a look and see! Unclear symptoms without clinical evidence are not unusual in today’s world. The diagnosis of these psychosomatic or endogenous health disorders takes up a lot of time and energy – for the patient just as much as for the therapist. Our devices help you reach an in-depth diagnosis, identifying dysfunctions and their background to the root cause, in a holistic and detailed way, free of side-effects. Advisory analysis after one only measurement: Check medical sport checks the patients in the truest sense of the word from the head to the toe. The device shows defects in the body, produces a summary evaluation and provides suggestions from therapy. The Test expert plus provides detailed information on the causes of illnesses – quickly effectively. For example, the device senses the causes of allergies and organs loads and finds acute and chronic inflammation foci. The therapy of any health disorder should deal with the root causes and not only alleviate the symptoms. And yet in the case of patients with chronic complaints, allergies or metabolic disorders, therapists soon reach their limits. wegamed products operate holistically on the root cause, are able to provide immediate relief and can be adapted to the individual needs of each patient and his/her situation. For a welcome feeling of well-being and an in-depth therapy. 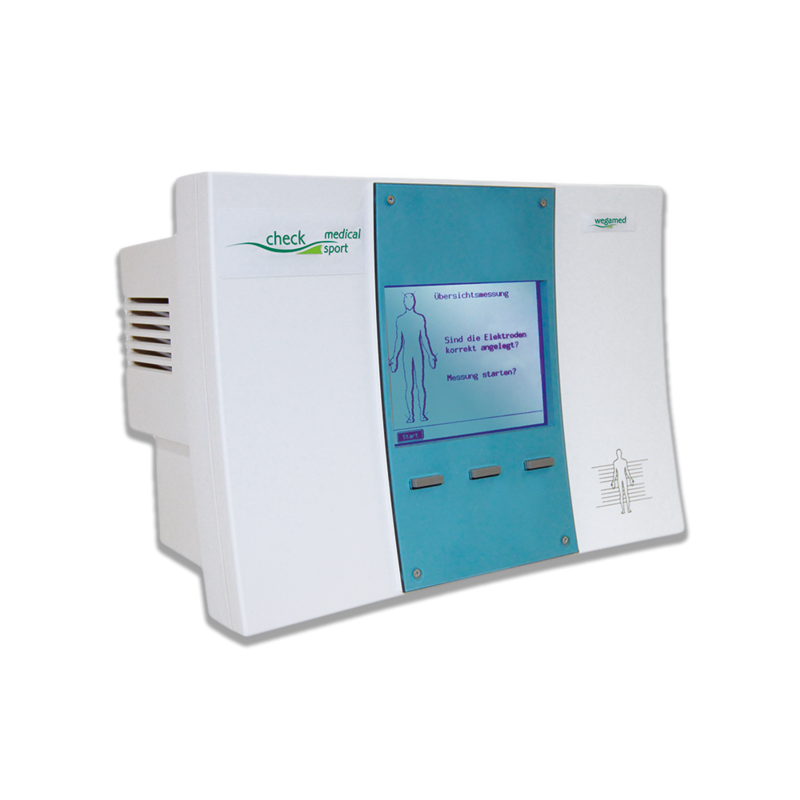 Med select activates the bodies self-healing powers through the bodies own vibrations. The therapy can be applied to variety of conditions including allergies, skin complaints, circulation problems an pain. More Products and Accessories are available in our Shop.